Ask any Klang Valley urbanites what their number one daily frustration is and they will tell you hands down that it is the traffic jams. Which was why thousands of KLites breathed collective sighs of relief when the new Ampang/Sri Petaling(ASP) LRT Line extension was fully up and running by 30 June 2016. Measuring some 18.1 km long and comprising 11 new stations that extend from the existing Sri Petaling station, the line now makes it possible for those living in Southern Kuala Lumpur to travel to the city centre via rail. The new line was an especially defining moment for those living in Puchong as its residents only complaint about living in the area is the daily traffic congestion. Well, those days are now over as the opening of the Ampang LRT Extension Line has made traffic a lot more smoother. There are now seven stations running through the township, namely BK5 (Kinrara), IOI Puchong Jaya, Pusat Bandar Puchong, Taman Perindustrian Puchong, Bandar Puteri Puchong, Puchong Perdana and Puchong Prima. This would bode well for Puchong’s population of 400,000 which will continue to grow. It does not stop there. Commuters from Puchong can now enjoy easy accessibility to the whole of Greater Klang Valley as the Ampang LRT Extension Line is integrated with the Kelana Jaya LRT, the Batu Caves-Seremban KTM, the Tanjung Malim-Pelabuhan Klang KTM, the ERL KLIA Transit, the KL Monorail and the soon to be completed MRT Line 1 (Sungai Buloh-Kajang). Hence, it does not matter if your workplace is in KL or as far away as Cyberjaya and Seremban. 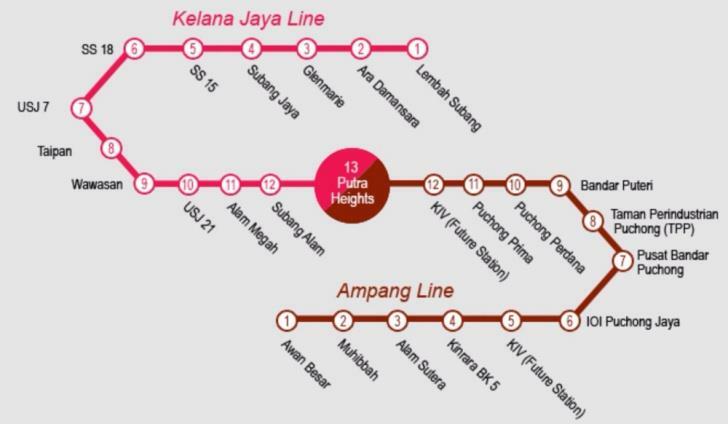 The Ampang LRT Extension Line and its sister rails will have your back! 2. Savings, savings and more savings! Let’s talk about the LRT’s biggest boons – time and cash savings! Take for example a trip from Bandar Puteri Puchong station to KL Sentral. This 24 km journey can either take you 45 minutes or an-hour-and-a-half, depending on the time of the day. Considering the burgeoning traffic conditions in KL coupled with the current rainy weather, it is safe to say that the commute in the morning and evening will involve a lot of hair-pulling. In addition, the travelling cost is not cheap – a one-way trip can come up to almost RM9 (plus an additional RM4.70 for toll charges along the LDP and NPE & RM4 for petrol). This does not include parking fees and your car’s wear and tear, which contributes to another estimated RM10 in expenditures. In contrast, the journey by public transport will take you 45 minutes and costs you RM4.60. 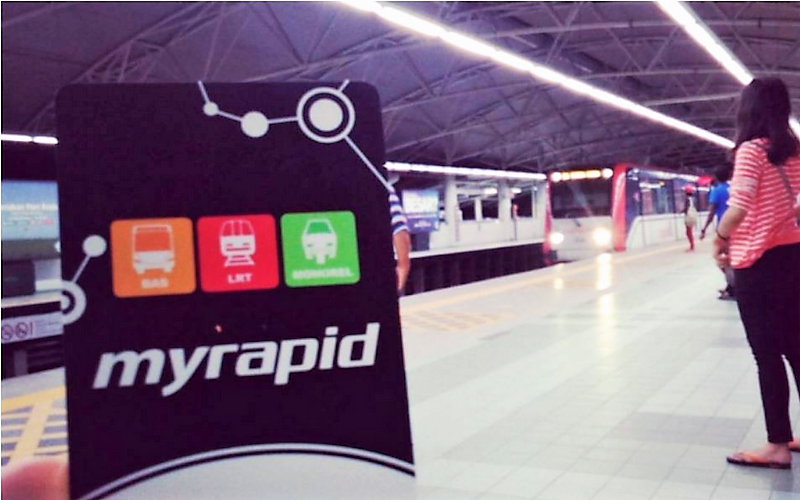 Comprising 19 stops from Bandar Puteri Puchong LRT station to Masjid Jamek interchange station and then hopping onto the Kelana Jaya Line to the KL Sentral station, this translates to a cost saving of RM14 or a whopping 75% – ONE WAY. Instead of getting caught in traffic, you now have the luxury of time in using that 45 minutes to catch up on some reading or a shut-eye. 3. 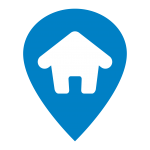 Accessibility & affordability, check! Not everyone who works in the city centre can afford to purchase a home there, especially, Gen Ys. Hence, it is no surprise that Puchong has always been a top choice among aspiring home buyers as there are numerous affordable property options and the township has it all – from shopping centres to hypermarkets such as Tesco Extra Puchong, Giant Bandar Puteri Mall, IOI Mall and AEON Big Puchong Utama. This does not include the many educational institutions comprising 24 primary schools, 13 secondary schools, three colleges/university colleges and Taylor’s International School. In the past, many used to find Puchong’s traffic conditions a deal-breaker. However, that is now a distant thing with the LRT extension line. With enhanced connectivity, Puchong has seen an uptick in interest among property buyers. Hence, dear home buyers and investors what are you waiting for? – Get your hands on a slice of the Puchong property pie today. *This article is courtesy of Khalil Adis, Director of REI Mediaction Sdn Bhd.